This time it's about reanimating and actually finishing the old project. 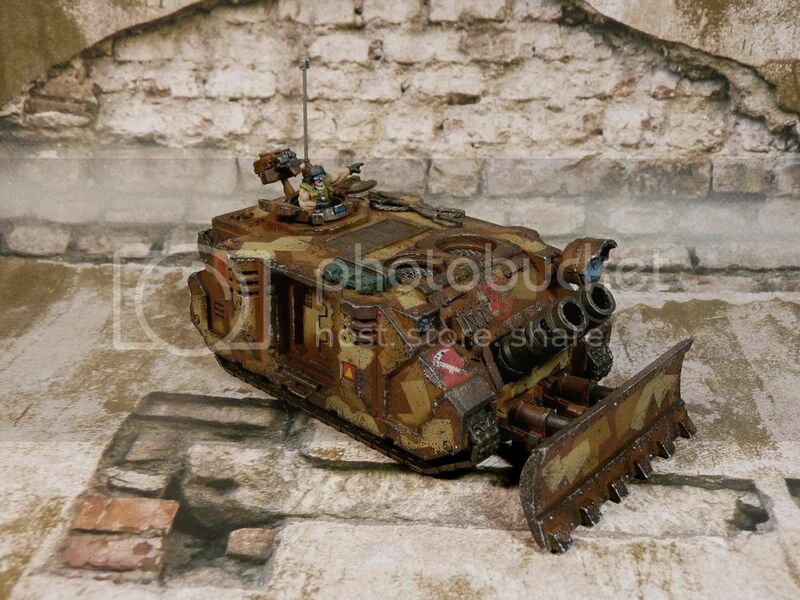 So a while back there was an idea to build some vehicles for Necromunda gaming. These were supposed to be conversions rather just models painted straight from the box. Long story short I already had Chimera painted long time ago which was dismantled and turned into mobile flamethrower ("Dagon"). Some time later I also got used Rhino and Predator (probably): Rhino was turned into mobile mortar ("Mjolner") so there was the last vehicle left to work on. You can also see more pics of these here ("Mjolner") and here ("Dagon"). 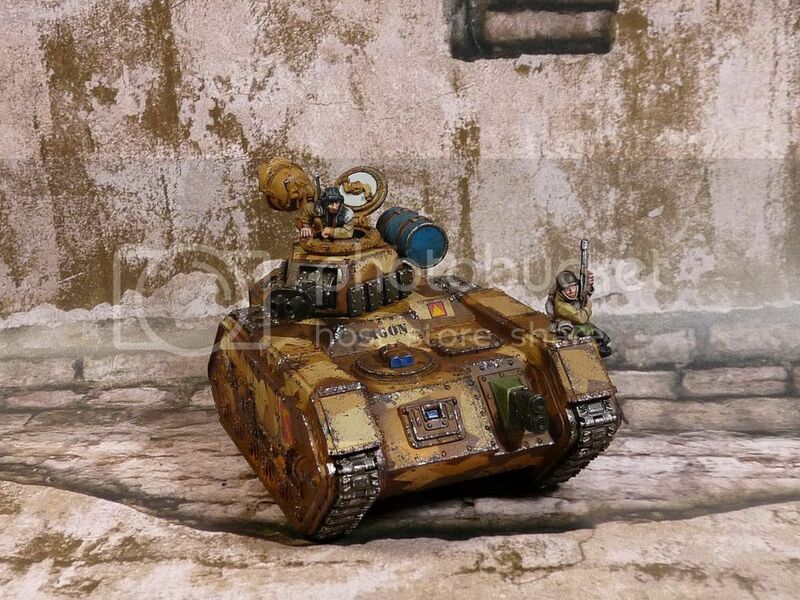 Anyway below you can see photos of the latest tank, named by terrified ratskin and mutie savages: "Beast 666" or simply "The Beast" (there's no time for full name in the heat of raging battle). I tried to keep the same color scheme so whole battlegroup is as coherent as possible. Initially I tried to apply "rectangle" camo just like on models above, but glue on mask was so poor it kept falling off before I managed to spray paint, so stripes of ordinary masking tape were used instead. Me likey. As you can see there are Valhallan riders on the hull - I have dozen or so of these which were supposed to form another Necromunda gang. Fluff wise it shouldn't be a problem to transport 12-15 men in 3 medium tanks after all. Really would love to see whole Valhallan armored squad painted one day. After quick (and bit desperate) excavation I found placy deff kopta, spare killa kan missles and some other bits. The more firepower the better. The missles are way too short for anti-tank weapons, but should be just fine as high explosive ammunition.